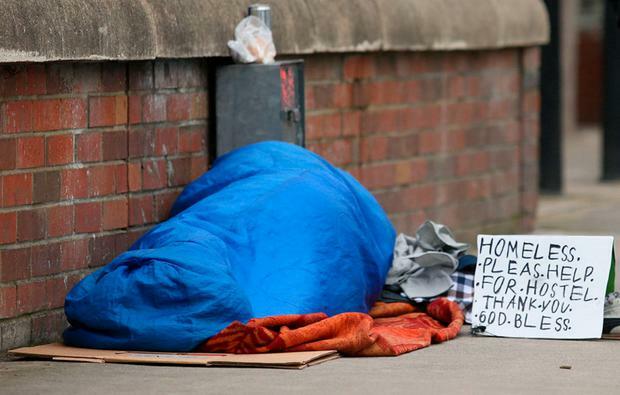 HOMELESS figures for January paint a bleak picture of almost 10,000 people in emergency accommodation. The Department of Housing report shows there were 6,363 adults requiring a bed in January and 3,624 children/dependants. When added together the figure is just 13 shy of the 10,000 landmark. The report notes a decrease of three families in temporary accommodation, brining the number to the lowest point since January 2018. There is a drop of 32 families accommodated in hotels in Dublin. Some 97 families exited emergency accommodation to an independent tenancy in Dublin during January, while 96 families were also prevented from entering emergency accommodation in the same month. Mr Murphy said the situation remains “very difficult”. He claimed some increase was expected last month as December usually sees a drop in homeless as people return to their families for Christmas. “An increase in January was anticipated but that doesn’t mean it is acceptable,” the Minister said. “That said, we are seeing some very positive movements when it comes to families in emergency accommodation. Mr Murphy added that the solution to homelessness are often “complex and I am working closely with my cabinet colleagues to deliver solutions for those individuals who require further support to exit homelessness, in particular those with long term health needs”.